Cult Furniture is a fresh and dynamic furniture brand, bringing designer products to young professionals and families at affordable prices. Cult products are inspired by classic and modern design and come in a huge range of exclusive colours. Spaceslide are the leading manufacturer of sliding wardrobe door systems in the UK. Eden is The UK's No.1 online Christian store, selling books, CDS, DVDs, Church supplies & gifts. We work passionately to connect individuals and groups with books, music, video and resources to help them grow in their spiritual understanding, development, Christian mission, and worship. 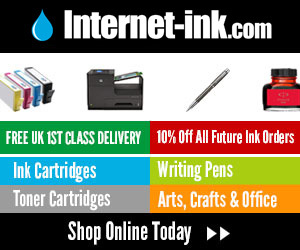 Internet-ink supply ink cartridges, toner cartridges, writing pens and office supplies to consumers locally and online for nearly 15 years. We always aim to deliver the very best in our products and customer service. Square Snaps makes online photo printing super easy! Print your personalised photos in square and polaroid style prints (as well as other styles) straight from Instagram or any device.